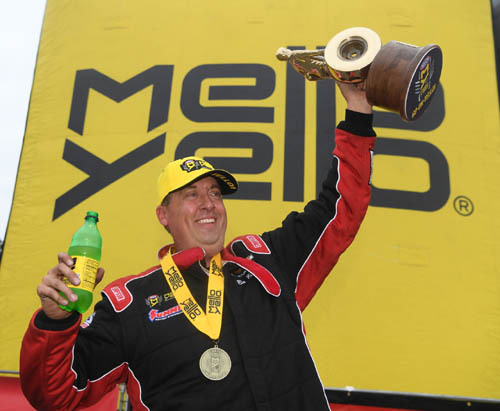 Richie Crampton celebrates back-to-back event victories. "This is just a big race no matter what year you win it," Crampton stated. "There were not too many easy rounds this year. That goes to tell you how difficult this Top Fuel category is. I think this win is going to take a while to sink in. I'm so lucky to have a team that puts me in a position to win like this. I'm just focusing to be a dependable driver." 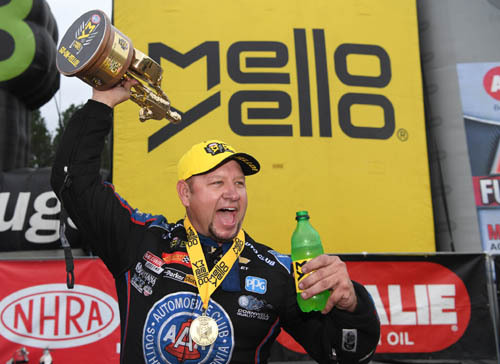 Robert Hight celebrates his 47th career win. "Qualifying No. 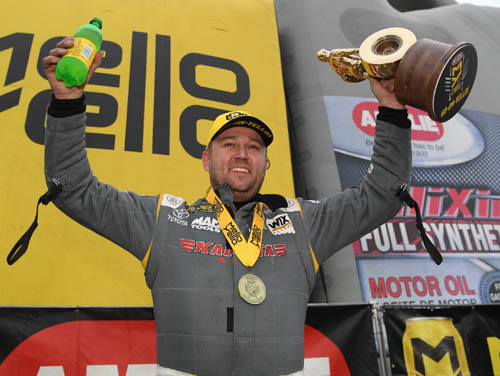 1 at the first three races is really impressive," Hight said. "It shows that we have a really good handle on this car. We didn't get the job done on the last day of the season last year and my team worked really hard because they don't want to be in that spot again." Bo Butner celebrates his second win this season. In Pro Stock, 2017 world champion Butner powered his Jim Butner's Auto Chevrolet Camaro to victory with a run of 6.505 at 212.29 over Alex Laughlin. Butner was the runner-up at this facility last year and clinched his second win of the season. His fiance, Randi Lyn Shipp, won in the Stock Eliminator category at this event. "I had no shot of winning rounds today," Butner stated. "Second and third round we didn't get down the track. The KB guys never gave up and I made the best run of the weekend in the finals. We were real ready for the final." Andrew Hines celebrates his 49th career win. 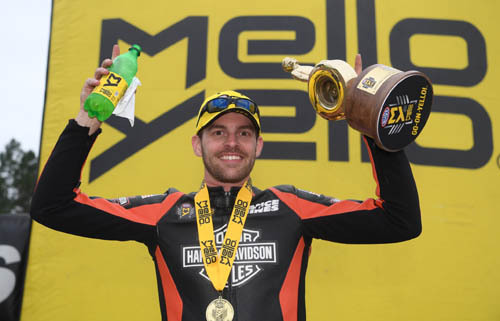 Hines raced to his first win in the category since Pomona 2 2017 with a run of 6.752 at 199.17 on his Screamin' Eagle Vance and Hines Harley-Davidson Street Rod. He defeated his teammate and defending event winner Eddie Krawiec for a rematch of the finals from 2018. Krawiec was the No. 1 qualifier for the event and secured his 49th career victory. "The motorcycle I had this weekend was phenomenal," Hines said. "It was tracking straight down the track and it responded to all of the changes. That made it so much easier to focus on going out there and racing, cutting good lights and not really worrying about what could happen the very next run." 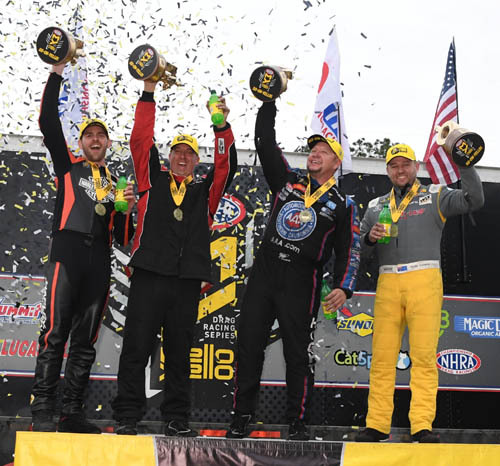 Sunday's final results from the 50th annual Amalie Motor Oil NHRA Gatornationals at Gainesville Raceway.